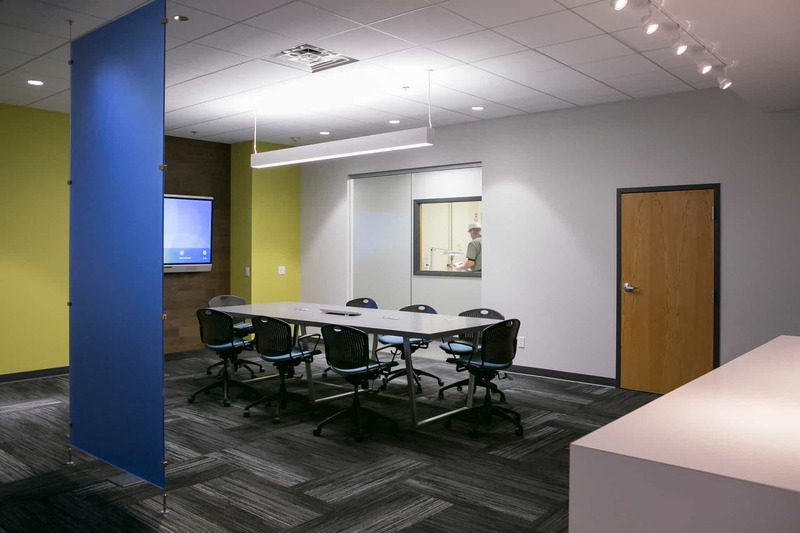 KSW Construction teamed up with Placon Corporation and McGinnis Design to create a 1,500 sq ft Design Center. The project was unique and was constructed in 8 weeks. 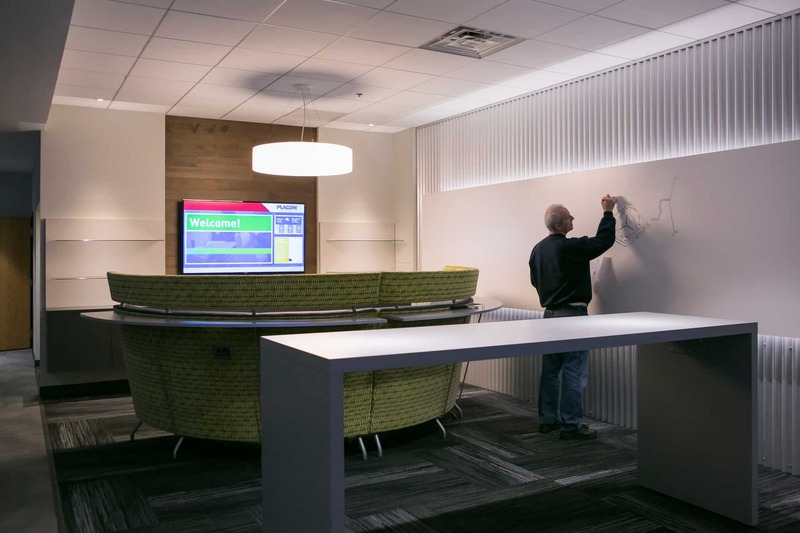 KSW used valued engineering on the metal finished wall that was constructed to suit the dry erase board, bringing the cost down for Placon while still satisfying the unique look they sought. 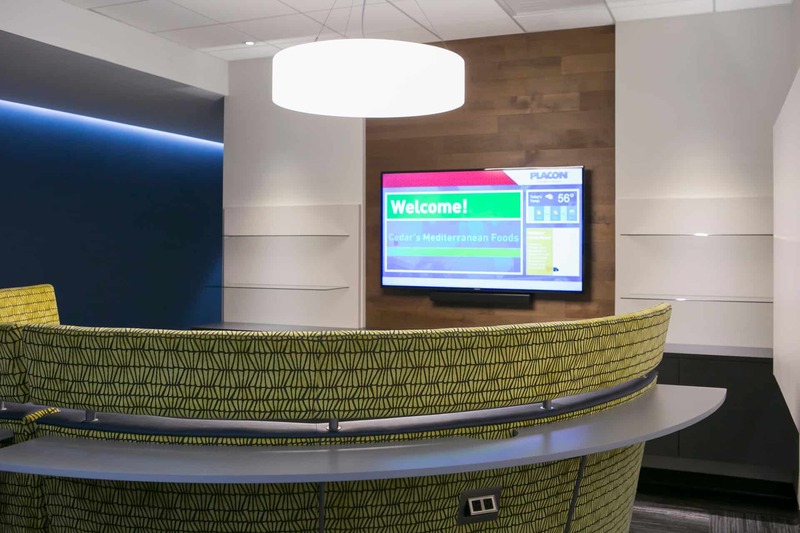 Manufactured wood and alcove lighting was used on select walls to accent different finishes. 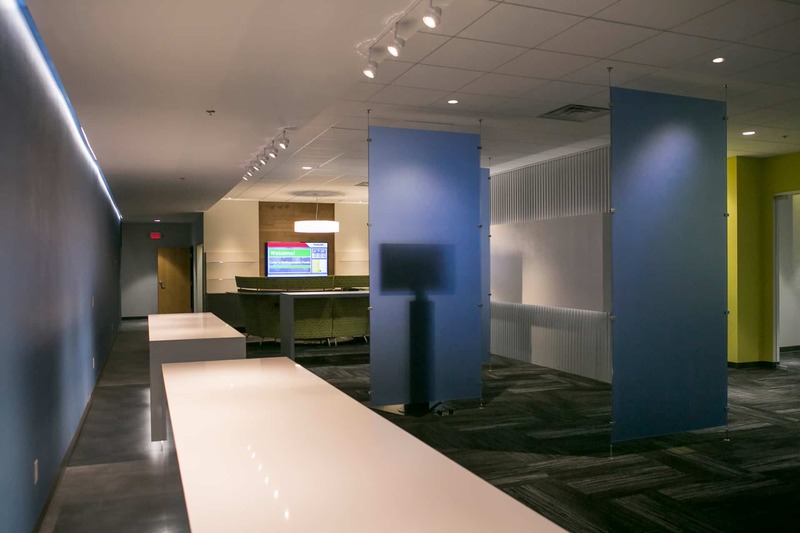 Glass eco resign wall panels were built to compliment the open space. The final project tied all these elements together to achieve a modern Design Center Placon pursued.